Paul: What is that distant honking I hear, that mournful note that sings its way through the evening fog? Why, it’s the horn on the Games News Barge! And who is sailing it into port? Why, it’s Quintin Smith! Quinns: My hold is stacked full of the freshest Games News stories, my crew primed and ready to unload them. What’s first? 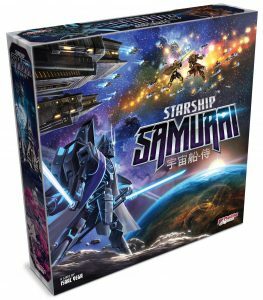 Only Plaid Hat’s in-depth update of Starship Samurai. With an unusual anime aesthetic and design credentials from Isaac Vega (Dead of Winter, Ashes, City of Remnants), I’ve been awaiting some hot hot details on this game for a long time. 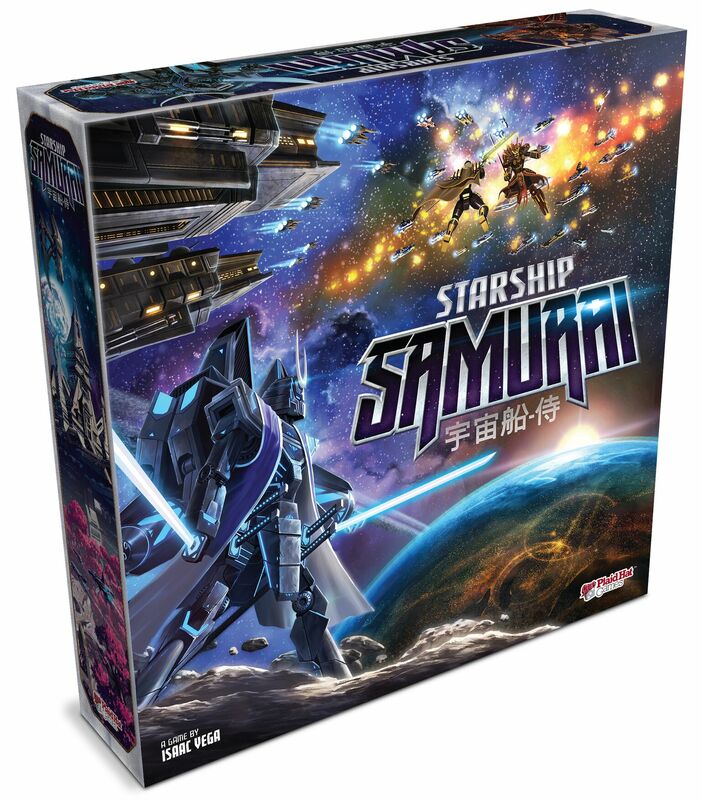 Starship Samurai will be a science fiction area-control game, seasoned liberally with both combat and diplomacy. As well as 2-4 players sending their fleets off to battle (and complimenting them with powerful mech miniatures), they’ll also be trying to sway clan factions to join forces with them. There’s a lot in Plaid Hat’s portfolio that we’ve enjoyed, and they might be the most consistently innovative publisher working today, so you can imagine how interested we are in this box. That said, I’m sad to see another example of a publisher offering a pre-order bonus that I actually want. Those acrylic clan tokens look delicious. But we’ve said it a thousand times- pre-ordering is a process that only benefits the publisher, and as a consumer you’re always best off waiting for reviews. Paul: For a lot of people the big news this week was the official announcement of the first expansion for the already-preposterously-large fantasy romp Gloomhaven. 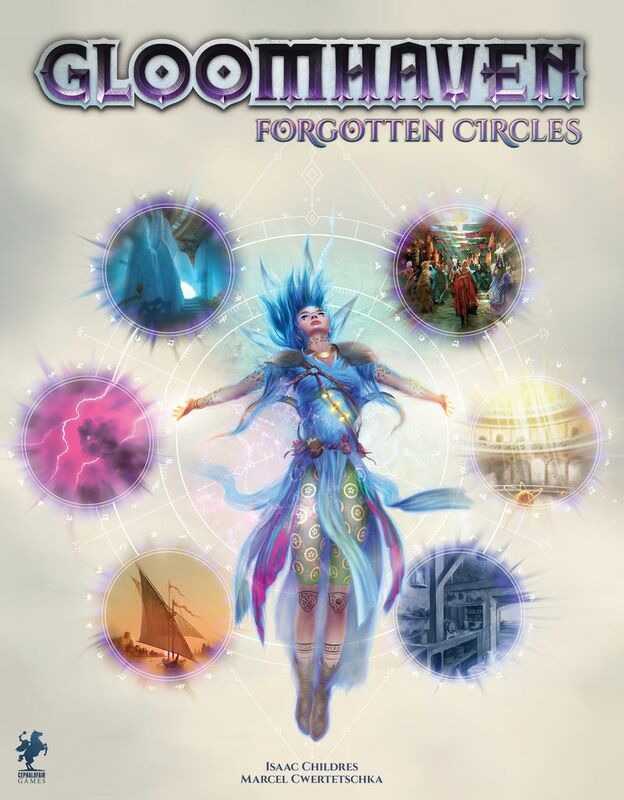 Forgotten Circles will add a new class, 14 new items and 21 new scenarios, and gosh I feel like I’m writing about a video game in 2004. Quinns: Ha, but wasn’t that precisely the point Matt made in his Gloomhaven review? That it’s reminiscent of straightforwardly generous video games? As Paul says, Forgotten Circles is only the first expansion scheduled for Gloomhaven, and the intention is for it to act as a little stopgap until the “big expansion” arrives. Geez. I wonder what Matt makes of this? Matt: Hello good sirs! I stowed myself away upon the Games News Barge, hiding in this barrel of unexpected oranges. Yes, the last thing that Gloomhaven needs is to be *bigger*, so it makes a lot of sense that this mini-campaign occurs after the plot of the original game, *hopefully* ensuring that the only people who wind up buying it are those who’ve actually finished their main course. I have to say though – I was so impressed with much of Gloomhaven that I’m really interested to see what shape the “big expansion” ends up taking. 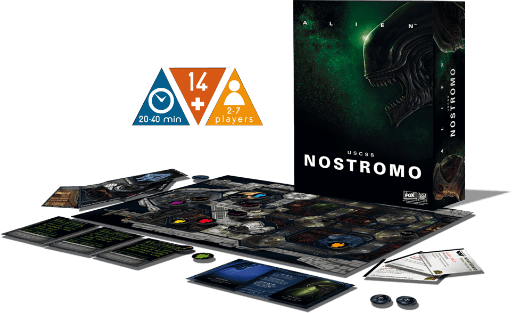 Paul: As well as exciting new releases, board gaming keeps polishing up old classics for us. 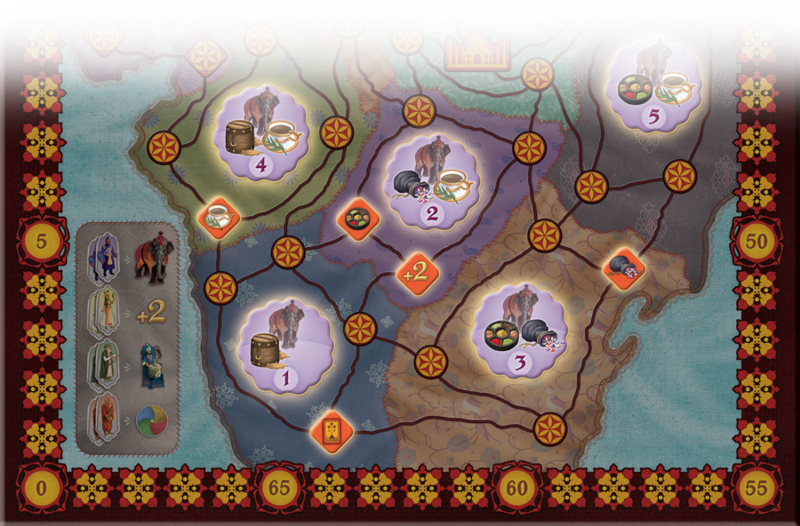 Taj Mahal, yet another Reiner Knizia classic, sees players trying to influence members of an Indian court, playing cards to win their favour as they travel from region to region, hoping to bring new territories under their sway. As before, Z-Man Games have substantially shinified (yes, it’s a word) this re-release, with far improved art and design. Several Knizia re-releases have stoically stood the passage of time, from Tigers and Pots, to Ra, to Modern Art, meaning I’m very keen to try this, too. Quinns: As Shut Up & Sit Down donors will know from their monthly behind-the-scenes newsletter, we’re currently working on another couple of reviews of beautimus Knizia classics. Paul: I’ll tell you what Quinns. Paul: That man made some good games. 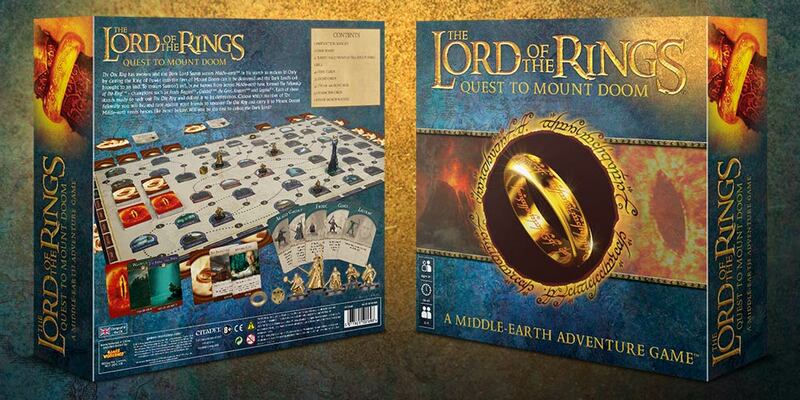 Paul: Here’s another idea I’m also excited about: The Lord of the Rings: Quest for Mount Doom is a board game where everyone is out for themselves, competing instead of co-operating to destroy the One Ring, while the forces of evil try to catch those horrid, bickering little ring thieves. 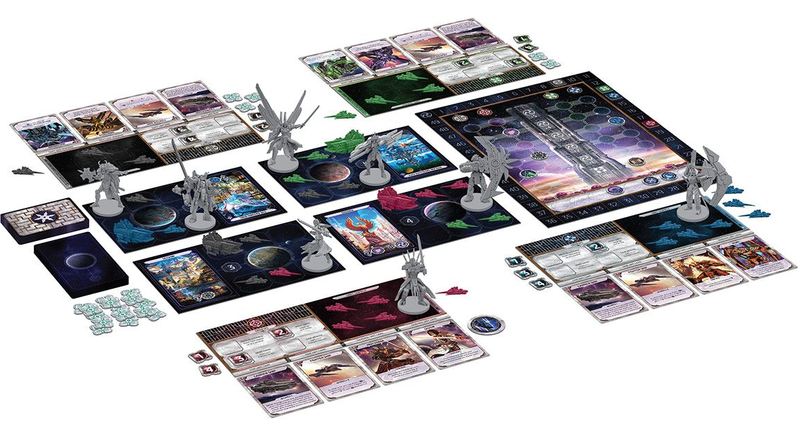 It’s a new approach to an old story and it’s coming from none other than Games Workshop, who are continuing to explore board gaming with every available limb. Quinns: But they’re still going about it a little weirdly, aren’t they? I know Mordor’s supposed to be a barren land, but the blank board in the above photo is taking that to extremes. More practically, one of the unwritten rules of board game design is that you put a person on the front of the box, or at least a piece of art that’s truly striking. But here they’ve gone for… a ring? It’s genuinely interesting to see a company operate with some, but not all, of the common knowledge found in the rest of the industry. Then again, back when I worked on magazines I was told that putting flame on the cover of the mag was (fittingly) a sure-fire way to up your sales for that issue. Maybe there’s enough fire on Quest for Mount Doom to save it? Paul: Speaking of companies doing things that make sense, holy crap, Quinns, there’s lots of new decks for the Game of Thrones card game, Quinns. In a first of Fantasy Flight’s Living Card Game format, they’re releasing an “introductory” deck for each faction. There’s so many decks, Quinns. It’s like if a lot of DJs got together and wanted to mix songs about Westeros, or something, Quinns. Is the new book out yet Quinns I mean that’s the only thing I care about any more Quinns. Quinns: You’re asking me?! I stopped flirting with Game of Thrones quite a while ago. My latest beau is Joe Abercrombie’s The First Law trilogy. He’s an author George R. R. Martin has actually called “terrific”, and I agree! I like this idea of intro decks a lot, though. Want to get an introduction to competitive Game of Thrones without spending hundreds of dollars? Well, now you can! Paul: There’s no questioning what this week’s biggest Kickstarter is. 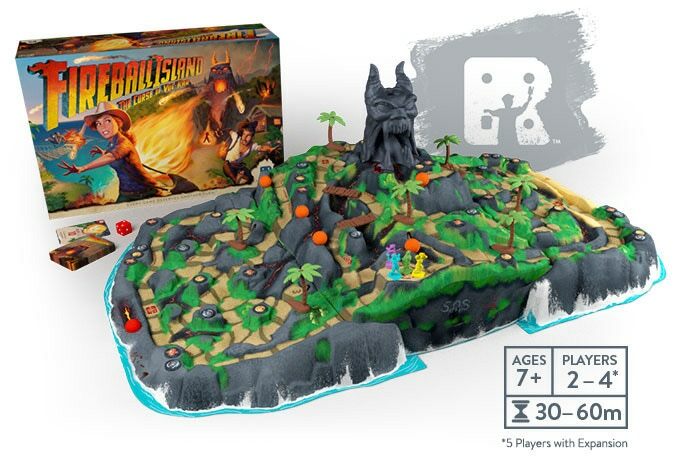 Restoration Games have been teasing their update of 1986 board game Fireball Island for an age, and the Kickstarter for Fireball Island: The Curse of Vul-Kar is finally upon us! 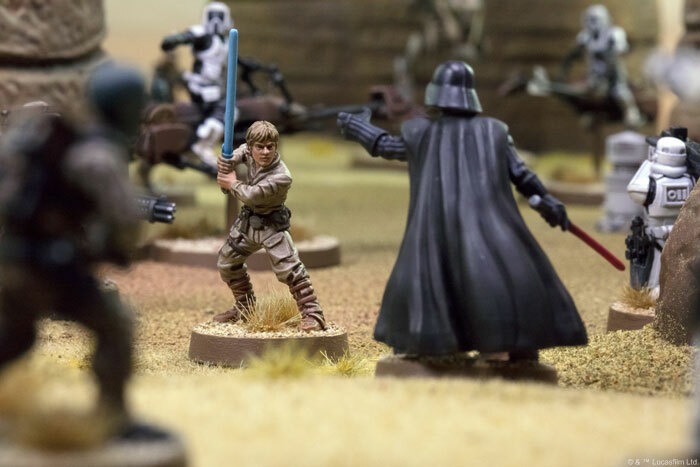 Quinns: The base game is a not-outrageous $60 (plus shipping), but if you felt inclined to make this ridiculous game even more ridiculous, Restoration Games are offering three(!) 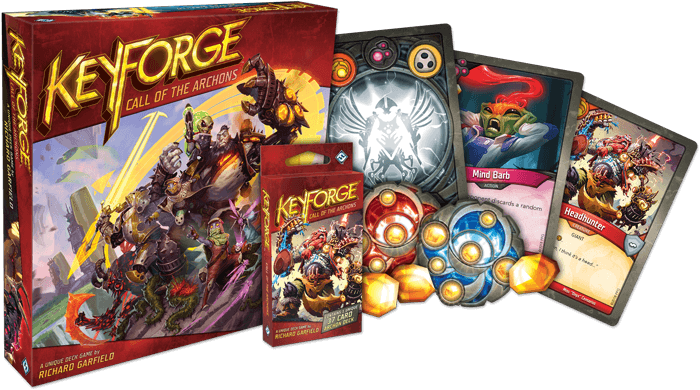 optional expansions with the Kickstarter as well as a big wad of free stretch goals. Together these add a 5th player, bees, snakes, a tiger, a pirate ship, a boulder, majickal artifacts and vuvuzelas. We can only approve. Paul: I actually managed to play this at PAX East this weekend, so I’ll be offering some impressions on the next SU&SD podcast. Quinns: What?! Ooh, you’re full of secrets. Like a… trash bag full of old receipts. Quinns: I’m pretty sure it’s all above-board. Quinns: Yeah, I think it is?